The Ceado ES-500 is a commercial juice extractor features automatic pulp ejection and is designed for the preparation of fruit and vegetable juices. Polished light alloy cast motor housing. Stainless steel Juice Bowl, Pulp Retainer and Juicing Basket. Juicer cover, basket, bowl and pulp retainer are easily removable, no tools required. Safety locking arm and motor brake. Fan cooled and quiet asynchronous motor. Wide feed chute, easily fits whole apples, carrots and other fruits and vegetables. Motor: 1 HP, 115 V, 60 Hz, 3000 rpm 6 Amps. Net/Gross weight: 34 lbs. / 38 lbs. 6 months parts and labor warranty. 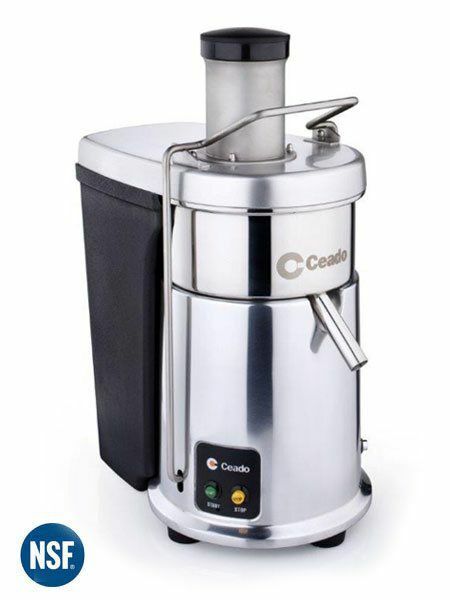 The Ceado ES-700 is the best juice extractor in the industry with automatic pulp ejection. 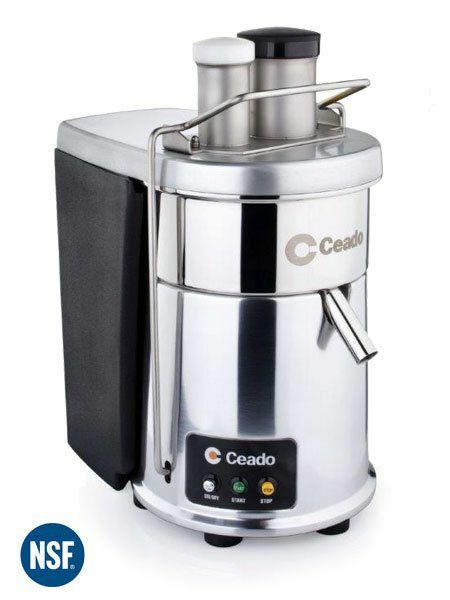 The Ceado ES-700 only commercial vegetable juicer with a double feed chute for best juice extraction from fruits and vegetables. Stainless steel bowl and juicer basket. Double feed chute, for the maximum juice output. Motor: 1 HP, 115 V, 60 Hz, 3000 rpm 7 Amps. Feed chute: 2” and 3”. Dimensions: 11.4” x 17.7” x 20”H. Net/Gross weight: 48 lbs. / 51 lbs.